Our aircraft cabin insulation kits have been installed in hundreds of aircraft of various sizes, and extensive performance data has been gathered for each of them. For smaller aircraft, standardized kits are usually the best option and generally yield consistent results in the specified dB range. On larger models, insulation projects are more complex and results depend on a number of factors, including preferences for weight and interior layout. However, results can still be predicted within a reasonable range based on our experience with the specific airframe. For example, we have completed over 50 insulation projects for Boeing Business Jets and can provide estimated outcomes for various levels of insulation treatments. 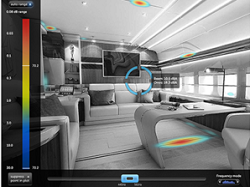 For larger projects, or when the aircraft owner wants to focus on specific noise sources, acoustic imaging gives us a complete picture of the cabin noise signature. New acoustic analysis tools make it easier for us to evaluate the noise profile of the aircraft and allow us to pinpoint sources of noise. A more detailed description of these methods can be found on our acoustic testing page. For larger aircraft, we have found that a comprehensive approach, wherein every aspect of the aircraft is analyzed and treated as required to attain a specific noise level and/or weight, is the most effective. Since the treatment is not fully defined at the beginning of the job, we provide a range of expected results. As the project moves through the different stages towards completion, the interval narrows. Cabin noise reduction is usually just one of many factors that have to be considered in a VIP completion, but every once in a while we get a customer who makes it an absolute priority. Not only are these projects an interesting engineering challenge, they also allow us to gather new data for future completions. Our favorite project was a record-setting BBJ where the insulation treatment resulted in a 46.7 dB SIL cabin average. 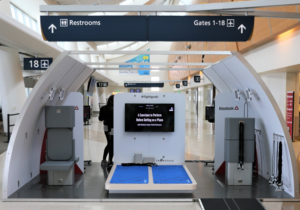 Achieving these results took a coordinated effort between the owner, the completion center, and our engineering team, as well as a few trade-offs with respect to the interior components. 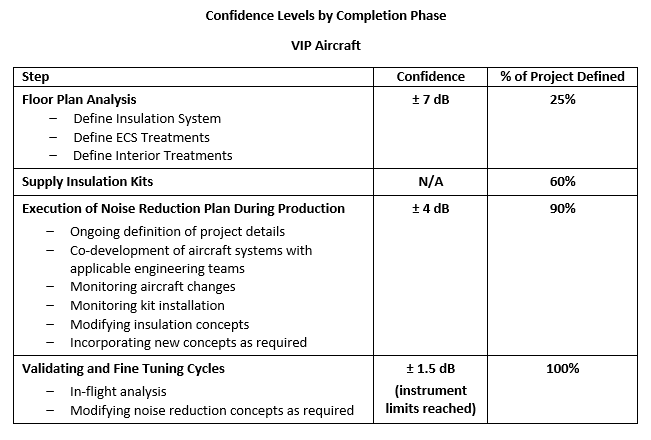 In addition to producing the quietest BBJ flying today, this project established a baseline to which future insulation treatments can be compared, and gave us an important data set that improved our ability to predict results. As we mentioned above, aircraft cabin insulation is a complex subject, and predicting results will always involve a certain level of variability, no matter who provides the treatment. However, our extensive experience, utilization of the latest technology, and ability to execute of a well-defined noise reduction plan allow us to not only make the best possible prediction of post-installation noise levels, but to also deliver and install a kit that meets the expectations we set.